What a day, what a day! 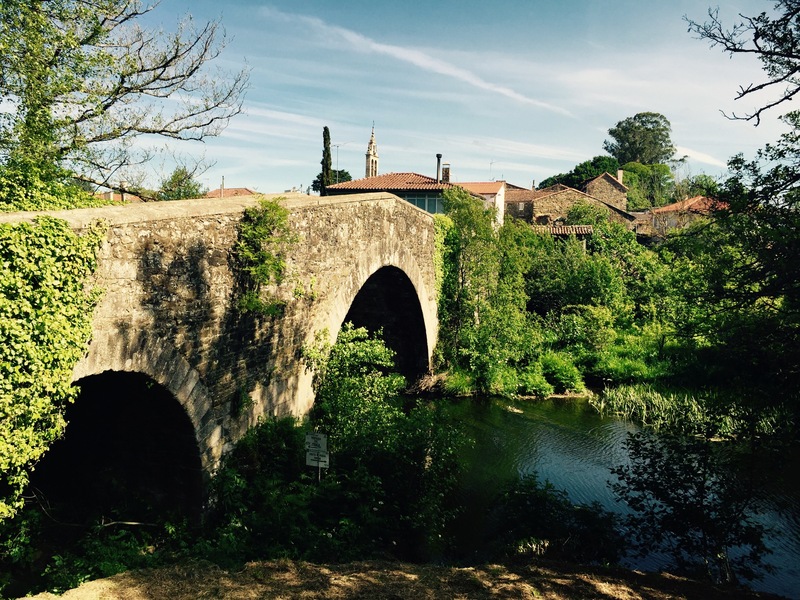 So much to talk about as we near our pilgrimage destination. 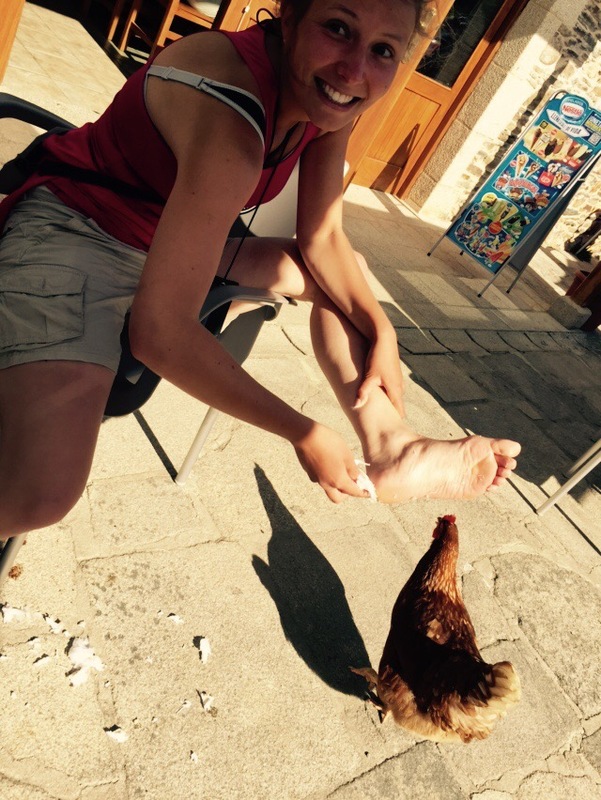 We started our day at 6:45… Having not been bothered one bit by the gaggle of urchins that invaded our Albergue! ( they were taken out at 9 pm as Dan and I were arriving back from dinner and touring something in the town! ). We were asleep by the time they returned! Nonetheless we were tired at the start! Leaving Palas de Rei doesn’t look like the palace of a king, but then again it was named for a Vidigoth king who reigned in the 7 Th century… Not much left!!! 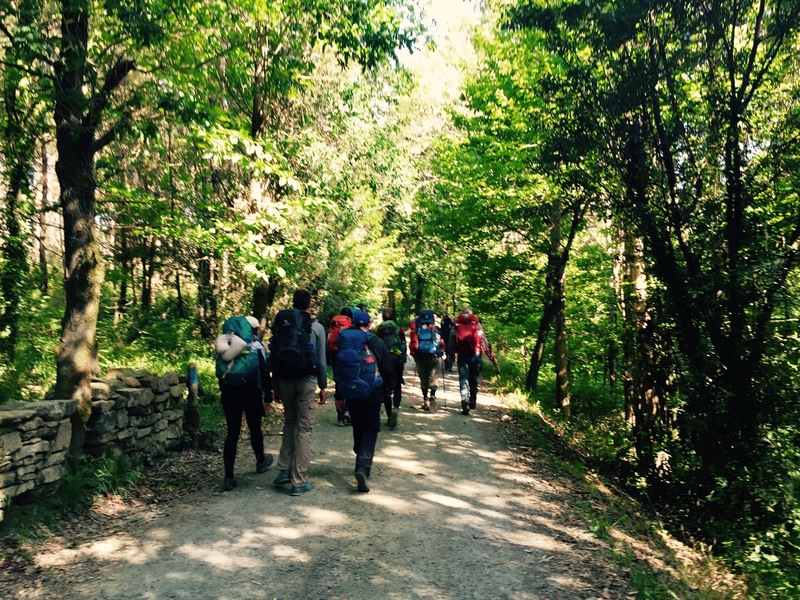 Then we contend with a class of Spanish students from Stuttgart here to learn Spanish… Whenever they passed us, they were speaking German… Lisa and I did our best to teach them Buen Camino to mixed success!!! But the day was amazing inspire of touches of modern day reality! 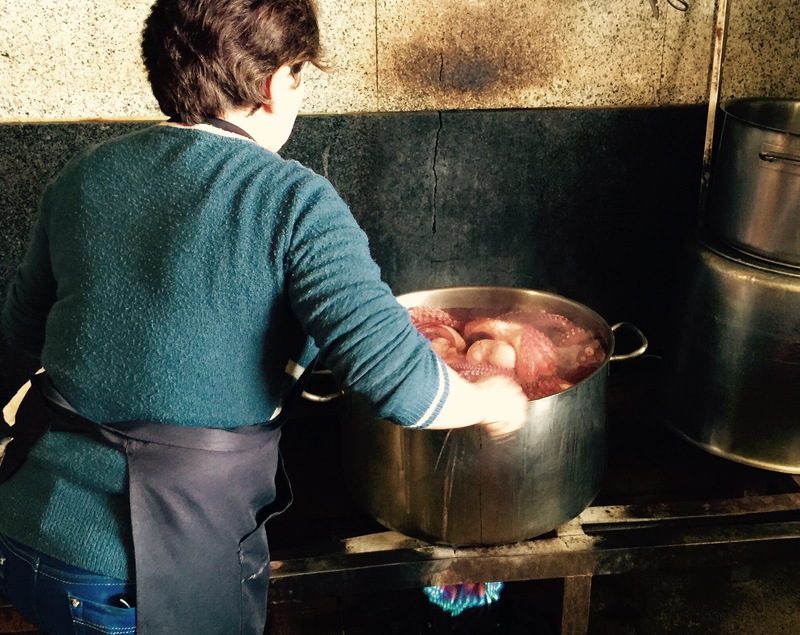 We had an amazing breakfast at an Albergue just outside of Palas de Rei… In retrospect, I wish we had stayed here! 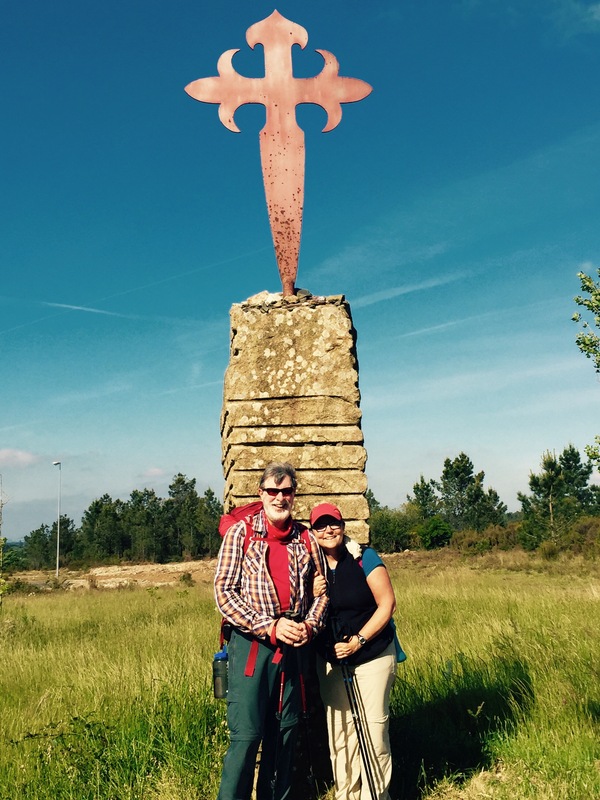 Feeling fulfilled and energized we hit the amazing old tracks of the Camino. 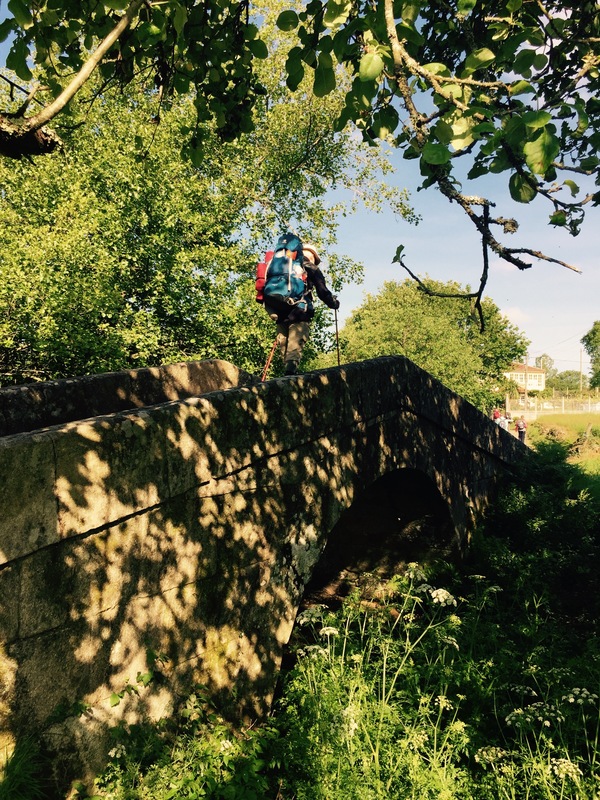 Soon, my feet told me it was time for another break, and who should we find but Alan, sitting in wait… Much to our delight! 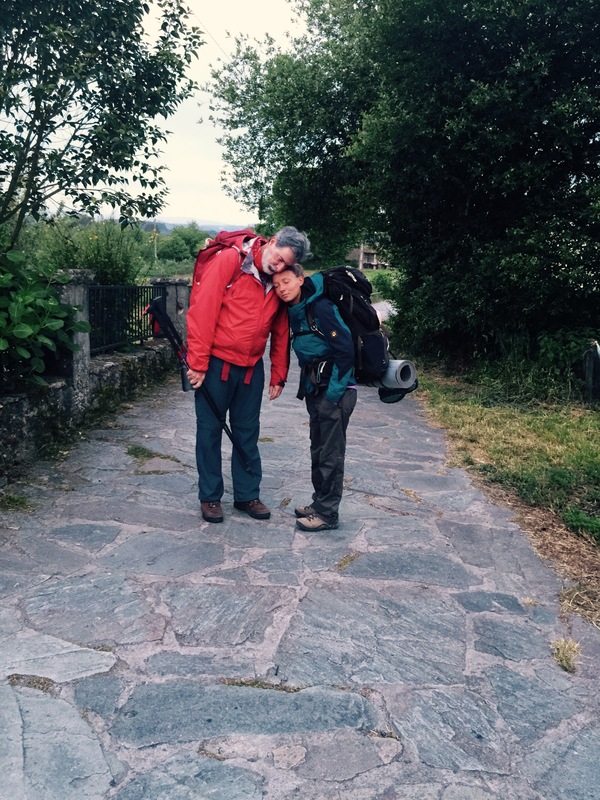 We were greeted with wonderful hugs, and decided to not only walk today together, but our Fellowship has been formed for our entry into Santiago! Together we walked the rest of the way today. 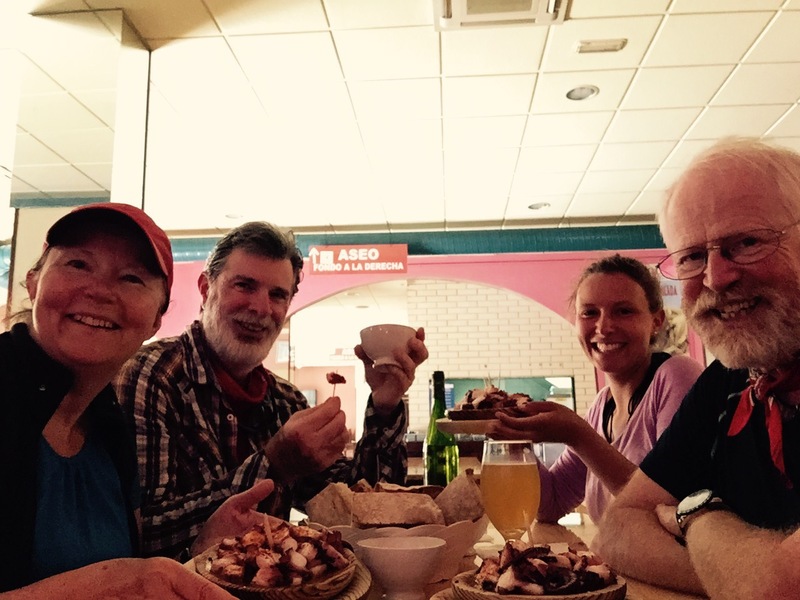 Our adventure took us to Melide where we stopped at Exequiel to sample some of the famous Galatian Pulpo (Octopus). Absolutely amazing! 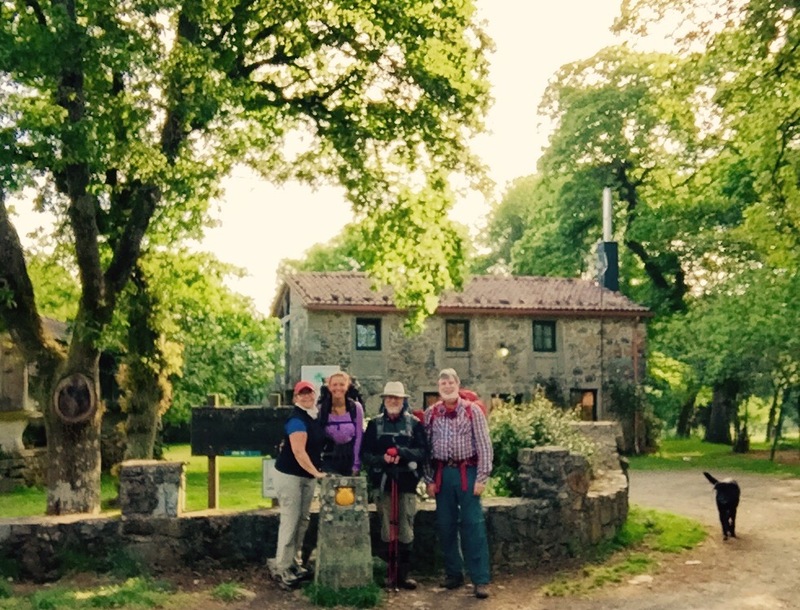 It was an incredibly important day, as we soon crossed the 50 km mark going into Santiago! Just after this enormous event we entered the local church of Santa Maria and with Alan’s leadership, Lisa, Alan and I sung “He who would be valiant” a pilgrims hymn. It was a magical moment which we hope to repeat in more churches along the way. The afternoon was long… Much up and down. I took another champagne day (without backpack) but it’s back to slogging it tomorrow! 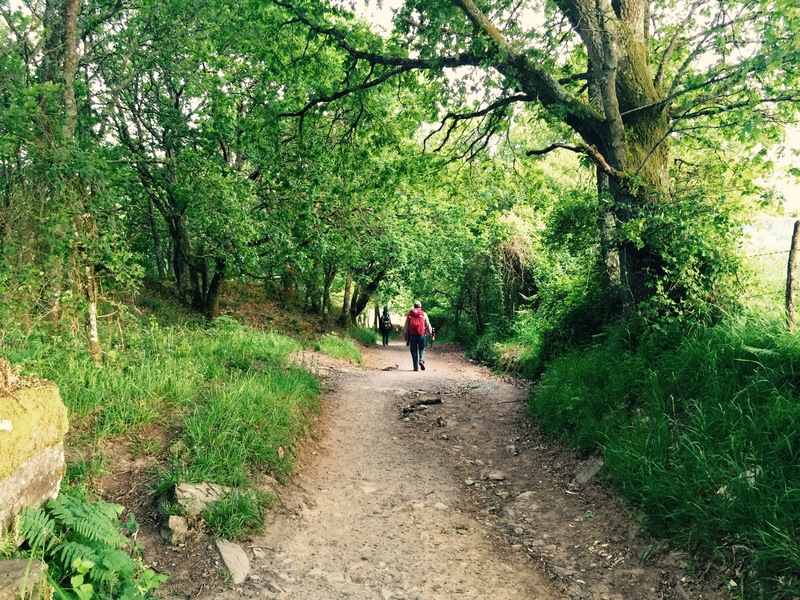 We crossed many streams and rivers and the scenery continued to be lush and breathtaking. 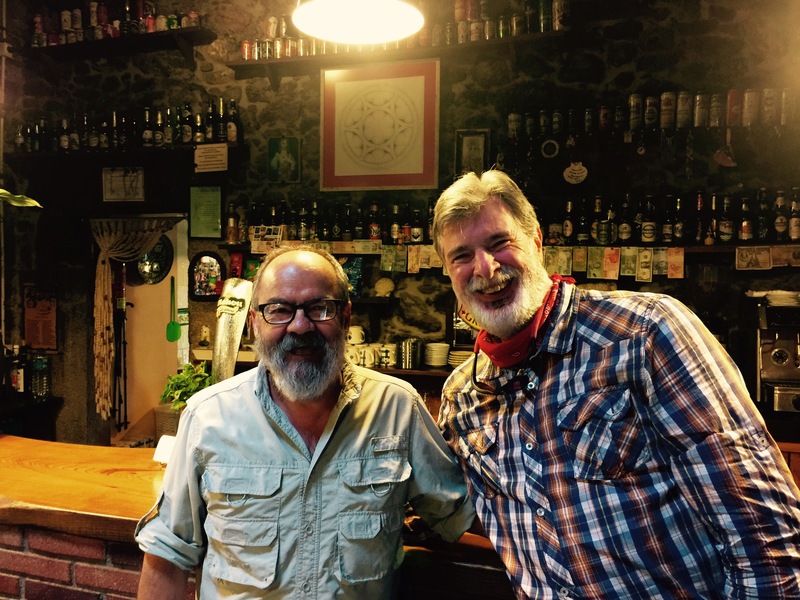 Ribadiso is a lovely village, and our Albergue, while sleeping about 20+ to a room is beautiful… But of course after a long days hike, it’s time for a drink, so off to get bar we went! You can tell its rural when chickens come to visit at your table!!! 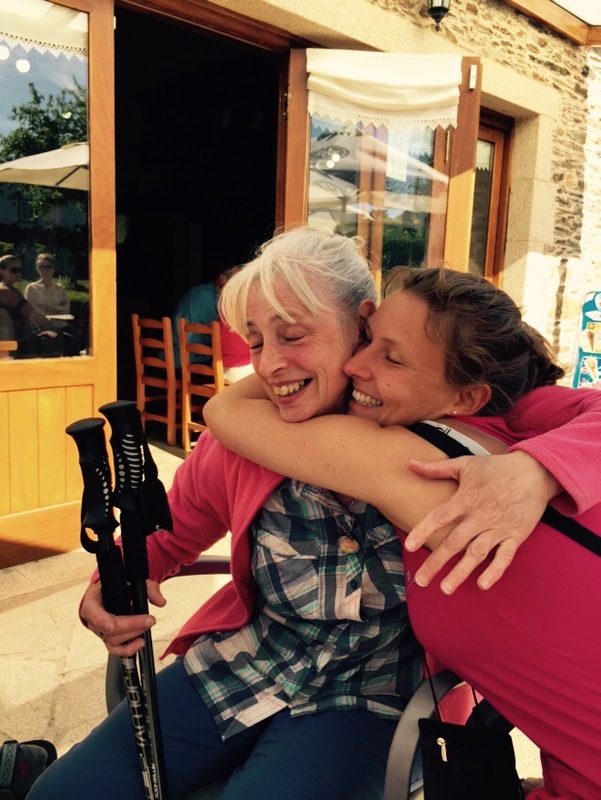 The young hen was not the only surprise left in the day… We had just ordered our second when out of the bar walked our dear Sandra!!! Omg, what a wonderful, joyous surprise!!! 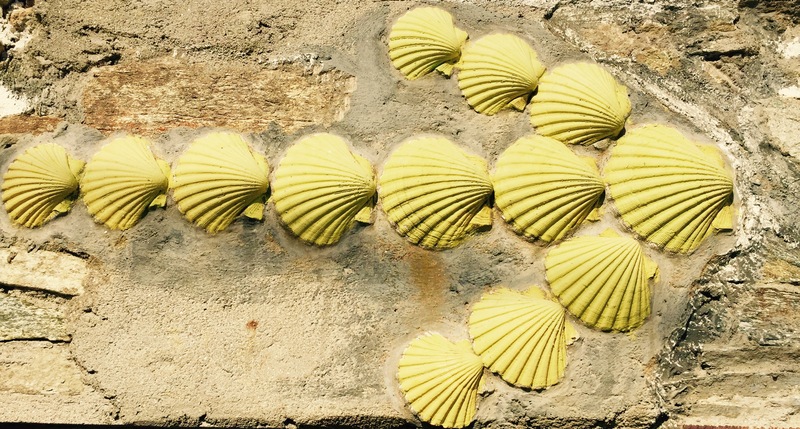 Sandra was back on the Camino, walking the last 112 km… She is only doing 10-15 km per day, but that should get her to Santiago a day or two after us… We will be sure to give her a Royal welcome when she arrives!!! Well everyone, it’s been a long day and time for sleep! Until tomorrow and we come within one sleep of Santiago!!! So exciting!! You are almost there! Way to go everyone. Despite everything you have persevered. Even the pictures of the “modern” areas are beautiful. 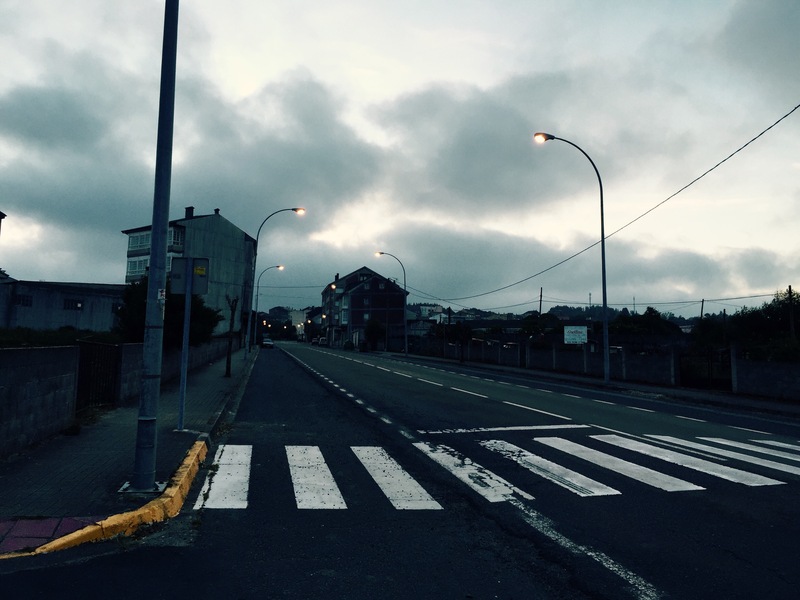 It is good to see the grittier side of the camino as well as the beautiful side. Look forward to tomorrow’s post. It’s all celebration now, inspire of the pain!!! Thanks for being with us on this journey! You can have your poppies, which are wonderful to see and photograph, but you must stop with the octopus as I am so jealous – not something that you get every day in Mississauga (unless you go hunting). Anyway, I see the landscape changing but also I think it is what you decide to shoot; in other words what is important to you and people you have met certainly seem to be key! 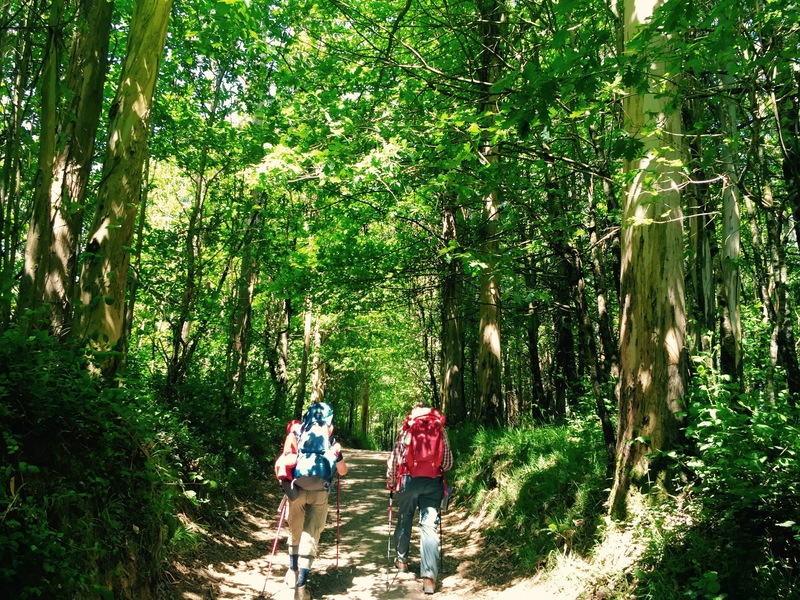 Make the most of your last two days on the trail – Buen Camino (or I can say that in German for Lisa: guten weg or the implied meaning viel gluck). Awesome!!! I’ll tell Lisa… And you’re absolutely right about the photos… Some things take my breath away, and some things or people have captured my heart…you see it all! Pat your blog is so inspiring. What an accomplishment for both of you. Your dedication to keeping us up-to-date without fail is truly amazing. I’m so looking forward to your last entry and the emotions you will convey. Looking forward to seeing you in June. My favourite pictures are the Super Hero poses – that you all are! Thx Sue!!! Those poses as silly as they are get us through the day some days! Thx for you kind comments! Wonderful! You are almost there. Enjoy your remaining steps. Big hugs from home! 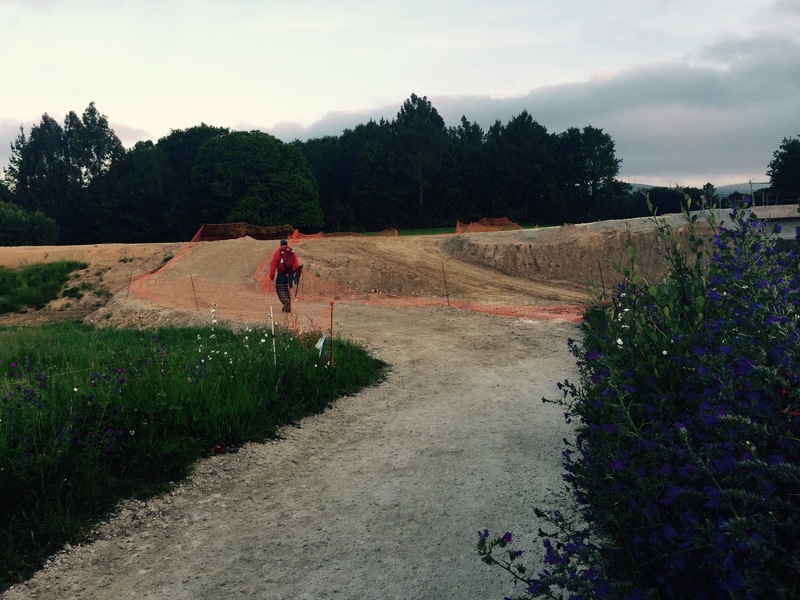 ….But without the foot problems!!! I’ve heard that it takes 21 days to form a new habit. I wonder what new habits will follow you home. Walking every day? Blogging every night? 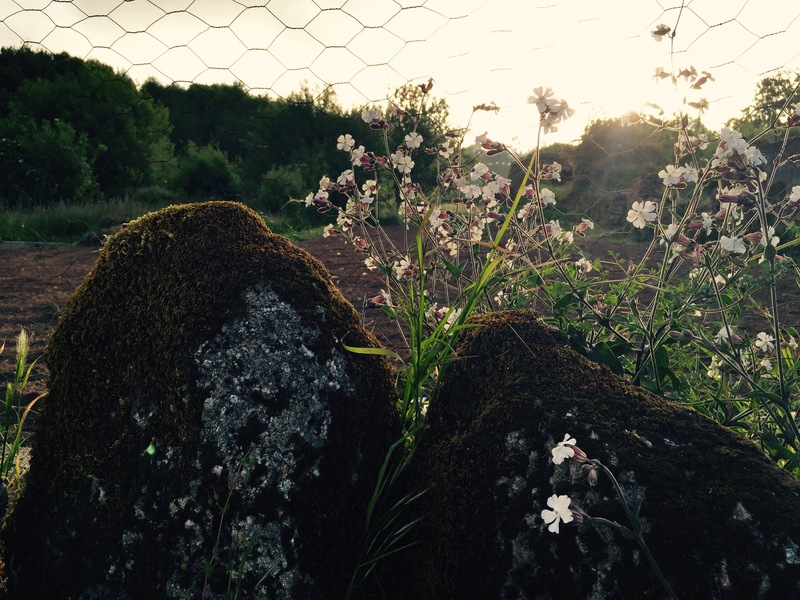 Appreciating the beauty around you? Super hero poses in the morning? I’m going to take the next 21 days breaking the habit of walking 20+ km per day!!! You forgot to mention the bottle of wine each night at dinner!! Beauty and superheroes are here to stay!!! Oh, the wine is a new habit? Full bottle… Every day… Yup!!! I was sooo virtuous before Spain! 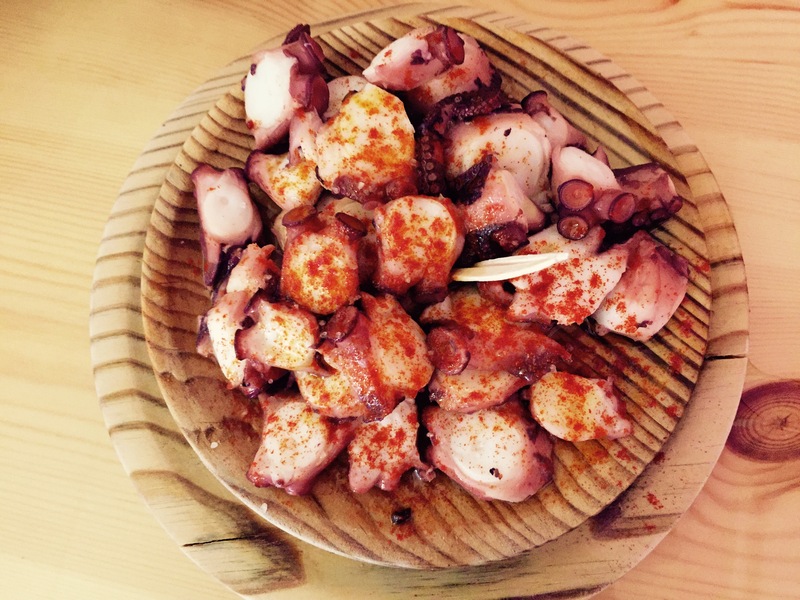 And I really do not think Galatian Pulpo would ever appeal to me, and I even like seafood! Like Glen, i’m envious of all the octopus you’re having. 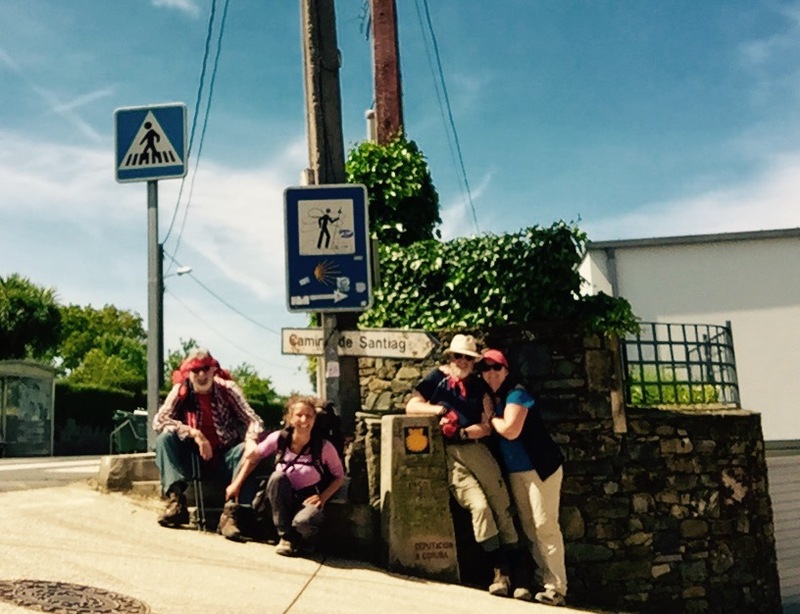 Bonne chance, on the last few days of the your Camino.